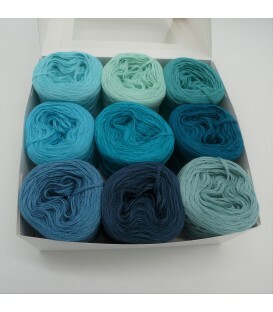 A pack Bobbelinchen Lady Dee's Farben des Lebens (colors of life) (4ply-900m) - turquoises colors Fiber Content: 50% cotton 50% polyacrylic. 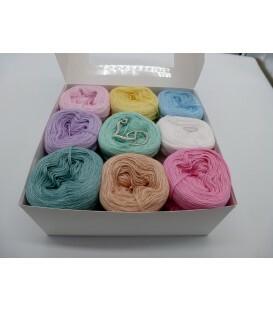 A pack Bobbelinchen Lady Dee's Farben des Lebens (colors of life) (4ply-900m) - Pastel colors. Fiber Content: 50% cotton 50% polyacrylic. A pack Bobbelinchen Lady Dee's Farben des Lebens (colors of life) (4ply-900m) - Pink shades Fiber Content: 50% cotton 50% polyacrylic. 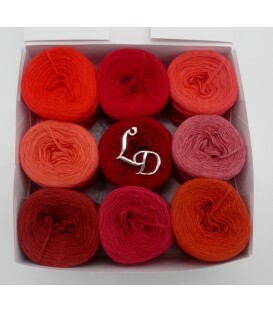 A pack Bobbelinchen Lady Dee's Farben des Lebens (colors of life) (4ply-900m) - Red shades Fiber Content: 50% cotton 50% polyacrylic. 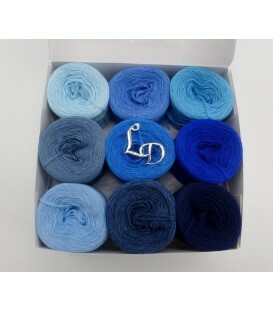 A pack Bobbelinchen Lady Dee's Farben des Lebens (colors of life) (4ply-900m) - Blue colors Fiber Content: 50% cotton 50% polyacrylic. A pack Bobbelinchen Lady Dee's Farben des Lebens (colors of life) (4ply-900m) - Sun Colors Fiber Content: 50% cotton 50% polyacrylic. 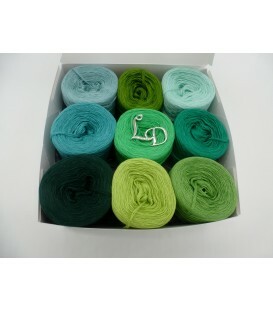 A pack Bobbelinchen Lady Dee's Farben des Lebens (colors of life) (4ply-900m) - Green shades Fiber Content: 50% cotton 50% polyacrylic. 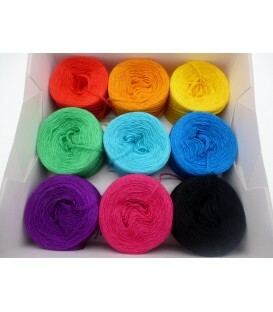 A pack Bobbelinchen Lady Dee's Farben des Lebens (colors of life) (4ply-900m) - Gray shades. Fiber Content: 50% cotton 50% polyacrylic. A pack Bobbelinchen Lady Dee's Farben des Lebens (colors of life) (3ply-900m) - Multicolor Fiber Content: 50% cotton 50% polyacrylic.